Today is our last day in Paris so we got up early, packed our bags, had breakfast in Belushi’s and checked out all before 10.30am. Ali let us stash our bags in the office (for safe keeping) so we were free to enjoy the city till it’s time to get our train to Berlin. 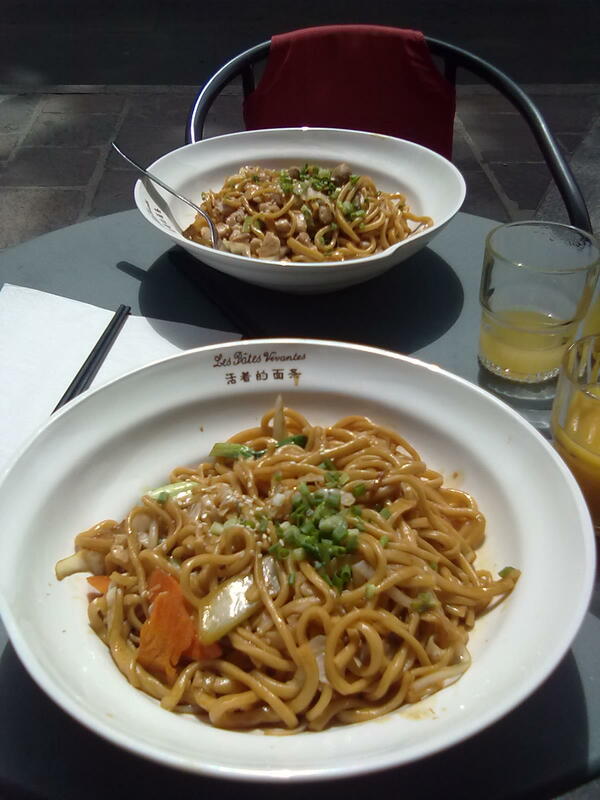 Last time we were in Paris we ate at a great noodle restaurant called ‘Les Pates Vivantes’ so we decided to go back for our final meal… it was amazing. Homemade noodles made fresh on location (you can watch the chef at work) – you really can’t go wrong. After some great food we wandered by the Seine / Left Bank over to the Institut Du Monde Arabe for coffees, which is very close to Notre Dame, however it was closed to the public on Mondays so we settled for a local café instead and caught the Metro back for a little chill-out time before we had to leave. 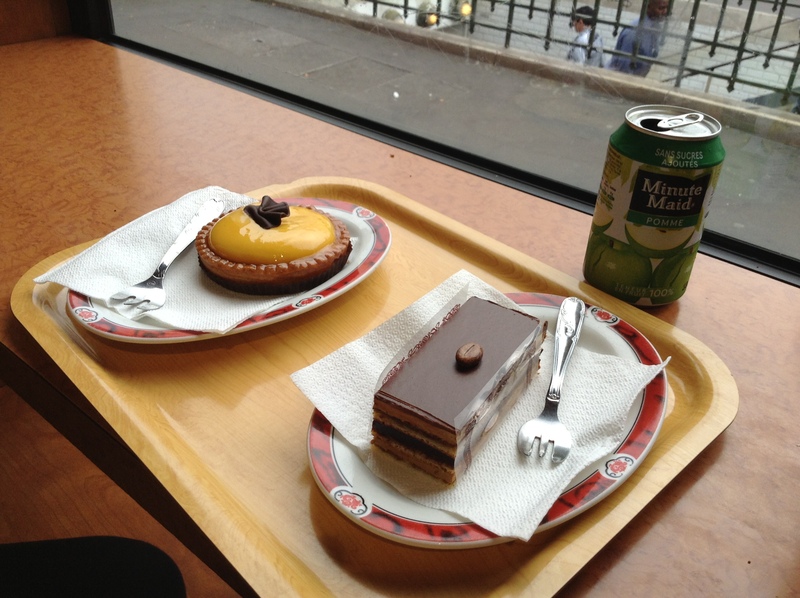 No stay in Paris is complete without a visit to a good patisserie and so we headed to a nice looking place near Gare Du Nord which provided us with just what we were looking for. We’d booked the sleeper from Paris to Berlin on D-Bahn and are both very excited to be going back to such an artistic city. Having played in both Paris & Berlin a few times now we’ve discovered that the Berlin venues are more ‘live’ music orientated and also there is a much larger (or even stronger) underground music scene there. 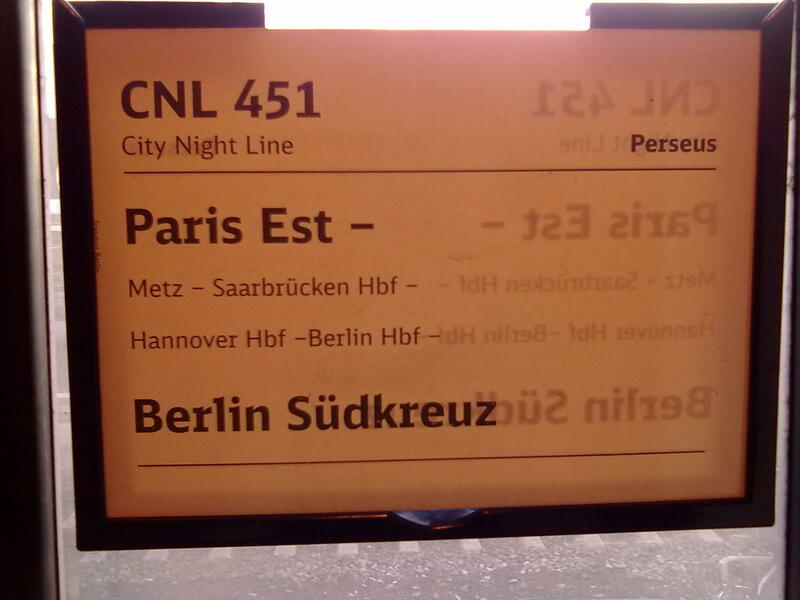 If it wasn’t for our contacts in Paris I’m not sure we’d get very far – Berlin seems a little more open to new music. So with (very) full bellies and plenty of reading material we board the 6:44pm train to Berlin HBF and get settled in for the evening.